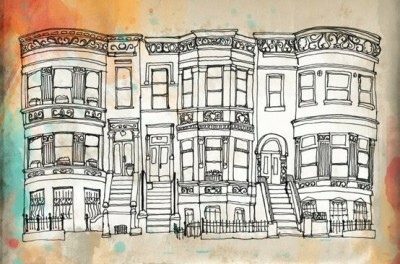 brooklyn brownstones — cathie u. My sister is in town and she wants to go check out Brooklyn/Willamsburg. I must warn her about the hipsters. Have a good weekend!